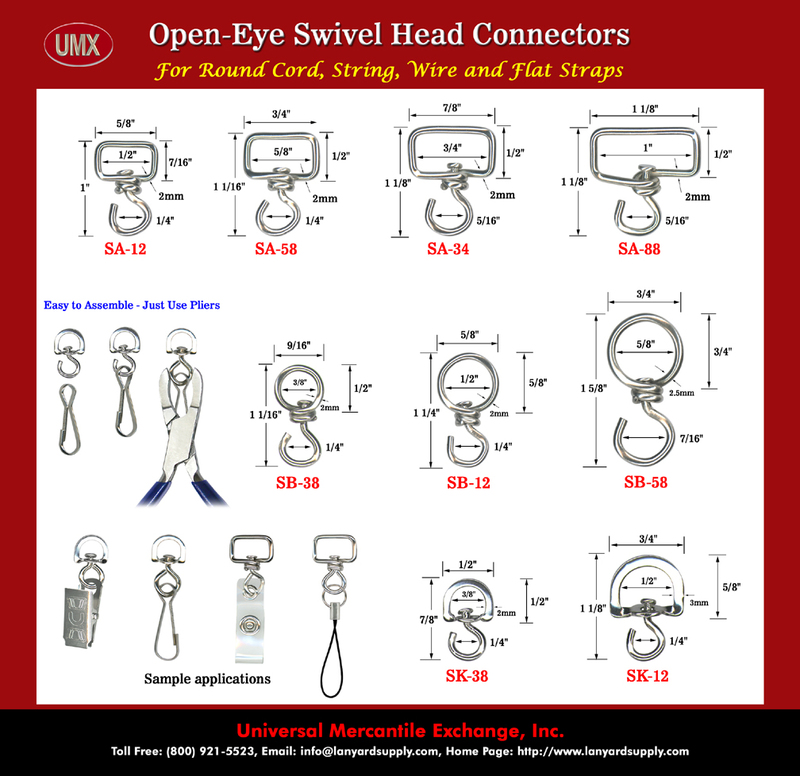 UMX Open-Eye Swivel Head Connector - For Round Cord, String, Wire and Flat Straps. Great open-eye swivel head connectors are great for hooking up a variety of accessories, like small hand carry devices, clips, spring hooks, straps, charms or chains. Open-eye swivel heads come square head, round head or D-shape style. Great connectors round cord, small size rope. string, steel wire or small size flat straps. No special tools needed, just your regular pliers can do a good job for you.